Ireland is an amazing place. This was my second trip to the Emerald Island and it didn’t disappoint. The people are terrific, weather cooperated this time and there was plenty of Guinness. After landing in Dublin and navigating my way through Dublin’s new Terminal II, I grabbed my bags and headed toward the AirCoach bus service that has direct service to a drop-off spot about five blocks from my hotel. I must have had a shamrock packed in my bags because the bus dropped me off directly in front of building that had “Volunteer” written all over it. It turned out to be the office of Irish Aid: the government ofIreland’s program of assistance to developing countries. 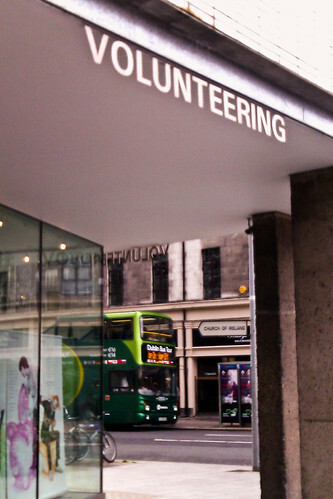 Although they are not involved with volunteering within Ireland, they did have connections to people at organizations that utilize volunteers locally. Jill at Irish Aid put me in touch with Kate at Volunteer Ireland and within 24 hours I had a volunteer project all lined up. 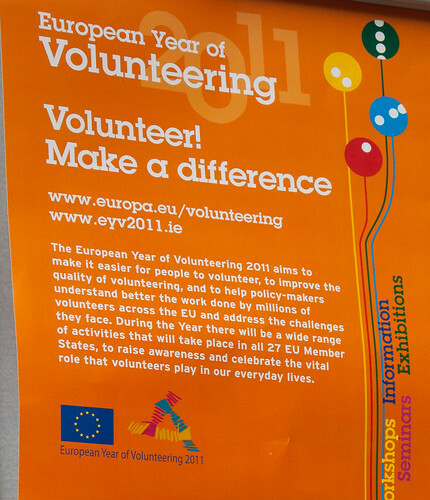 As my luck would have it my trip would overlap 2 days with the European Union’s Year of Volunteering Roadshow – a five-day fair featuring more than 70 charities in Ireland that depend on volunteers to operate. There were information booths about each of the nonprofits that were participating as well as informational seminars on a wide range of subjects related to volunteering. Kate set me up to help out during Tuesday’s event which worked perfectly for me not only because I would be back in Dublin on that day but also because the focus of the day was on charities that engage older Americans – a topic that I thought would be of great interest to the readers of the column I write for AARP. I arrived around 10:30 and met Kate. She put me to work helping another staffer hang a banner out a second story window. Although it didn’t look perfect, we got it placed as best we could without falling 20 feet to our death! The rest of the day was spent doing small tasks that came up and trying to get passersby to come in and check out the fair – a painful job but somebody’s got to do it. Although the event had been publicized reasonably well, attendance was light. I took the opportunity to speak to some of the organizations that were exhibiting and was really impressed with the work that they are doing. I got lucky that things fell into place and I was able to volunteer. Despite trying to arrange things prior to my trip, I was unable to secure any volunteer opportunities mostly because of standard bureaucracy related to volunteering in Ireland. You see typically you have to formally apply, get screened by Garda (Irish Police) and attend an in-person meeting all before being accepted as a volunteer. If you are thinking about volunteering overseas you check out two articles I did for AARP on the subject for some tips and lessons learned. I woke up to terrible shooting pain in my neck. It always happens when I fall asleep on flights. Despite my weighty eyelids, I didn’t think I could go back to sleep. With another two hours or so to go on my journey to Ireland I decided to fire up my laptop and knock out some volunteer work. That’s right, you can even volunteer from the comfort (can you hear me laughing?) of your own chair as you glide through the air at 600 miles per hour. I cracked open my laptop and connected to the Internet – for a “small” fee. 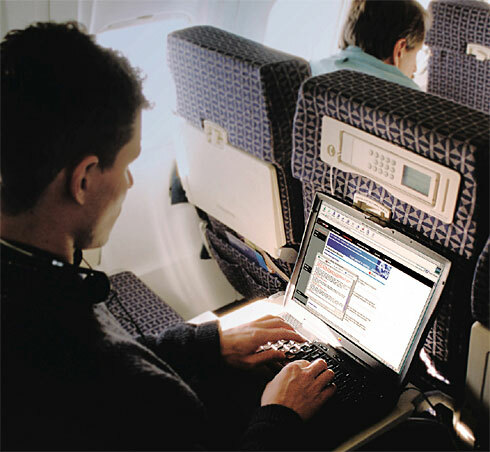 Before we all start bitching that we shouldn’t be paying these fees, let’s not forget how amazing that is in and of itself – to connect to the Internet as you speed around the Earth at an altitude of 36,000 feet. We have created a facebook page and need to invite visitors and even have a fan club page. We need your ideas and suggestion. So, I did about 15 minutes worth of research on their website and their facebook page and then started putting together some advice for them. It’s that easy. Check out my recommendations. 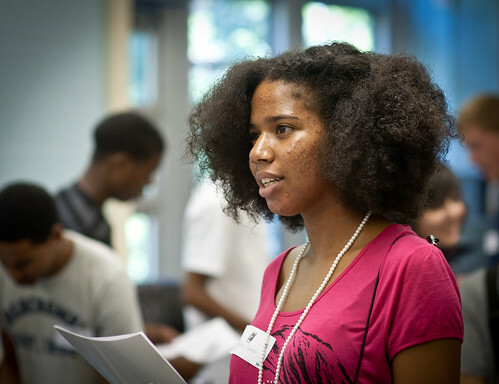 I’m glad that I hopefully have been able to help this young nonprofit, however, I couldn’t stop thinking about a bigger, more systemic problem that we have. We need to get every WiFi access carrier in the world to create a portfolio of websites that anyone can access free of charge. Sparked.comwould be on that list for sure! If we just take the airline industry, imagine how many people stuck on airplanes might be willing to spend 15 minutes online helping out their virtual community instead of watching some dumb B movie that they fell asleep watching on their last flight. I’ve been told that the airlines and the WiFi access providers are not interested in enabling such a service for volunteer work. Let me know what YOU think…can we make this happen?! 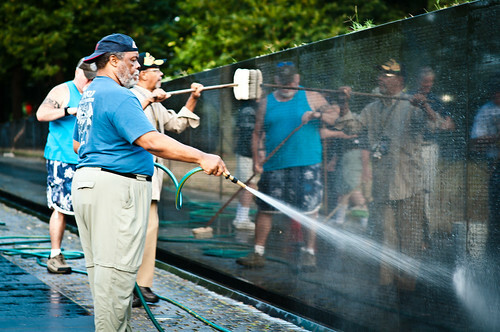 Not even 15 minutes after the sun crested the horizon this past Saturday morning, 20 members of the Montgomery County Chapter 641 of the Vietnam Veterans of America grabbed buckets and brushes and walked down the stone pathway toward one of the most iconic memorials in the United States: The Vietnam Veterans Memorial. “It started out I guess between 14 and 16 years ago,” Art Wong, who served in Vietnam from 1967 to 1968, told me. I later discovered that it’s actually been 17 years since he and Mike Najarian, both of Silver Spring, MD, started making the early morning pilgrimage on the first Saturday of every month between April and October to wash away the grime and dirt that builds up on the 58,261 names engraved on the black granite memorial. 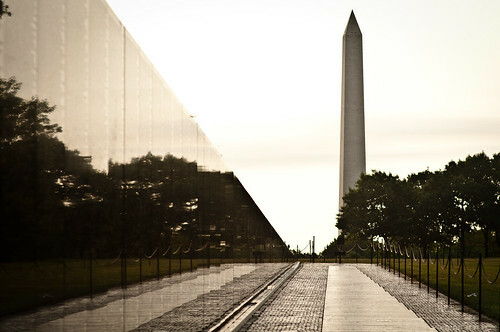 “The Wall,” as it is often referred to, consists of nearly 500 feet of black granite from Bangalore, India. 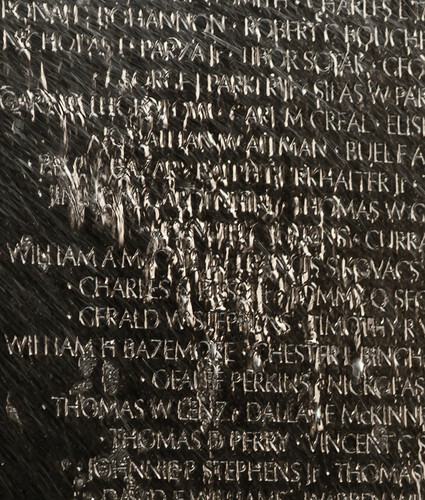 Carved out of the shadowy stone are the names of all military men, and eight military women, who lost their lives (or went missing) as a direct result of military wounds suffered during the Vietnam war. The sheer volume of names is breathtaking. An emotional place for many Americans, it is a place that I encourage everyone who comes to DC to visit and pay their respects. Art was the first person I spoke to when I arrived. He was kind enough to take a few minutes and let me interview him. Click below to hear Art’s story as well as see the washing of the wall in the background. The sound of brushes scrubbing back and forth, water hammering against the dark granite and conversations soft enough to be held in church were the only sounds. The reflection of the mirror-like wall overflows into my mind and I find myself reflecting on those who lost their lives half a century ago. How old were they? Where were they from? How sad their parents, siblings, spouses, children and friends must have been when they heard the news? How many dreams were washed away as quickly as the soapy water that ran down over the names in front of me? What impressed me the most about these men, and yes they were all men with the exception of my friend Patricia who also pulled herself out of bed at 0’dark thirty to come volunteer, was how friendly they were. As we wrapped up our work a few early rising tourists made their way to the memorial. There was no shortage of hellos, good mornings and respectful nods showering the visitors. And made me feel proud to have been there. I will be back on October 16th to lead a group of volunteers in cleaning the Korean Memorial. If you would like to help out, drop me an email. UPDATE: I found this MSNBC story about the men mentioned in this blog post…enjoy!